It looks like Cristobal has named safeties coach Keith Heyward as co-defensive coordinator. Likely won't affect much but I'm a bit surprised that Salave'a didn't get this title. Doesn’t Joe already have a co/assistant head coach title? Yes, Joe is Assoc head coach and it’s more of a move to get them money than a title. Is this more of a DC in waiting type move ya think? 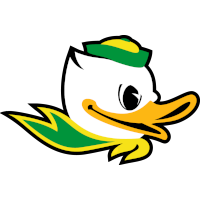 "Oregon safeties coach Keith Heyward and associate head coach/defensive line coach, Joe Salave'a have added a co-defensive coordinator with Jim Leavitt serving as the main defensive coordinator." Arroyo also added assistant head coach to his titles. Is this like an “I’m Negan” type thing we’re everyone is head coach or something? These are hardly 'participation trophy' titles. These matter in the world of college football. They also include pay raises. I would think the minimum requirement for a pay raise is to have at least one win under your belt as a staff. I would like to see a breakdown on how many head and co head coaches we have along with d coordinator and co D coordinators same with the offense. Just trying to put my head around it with this new staff. How long until the Military does this? 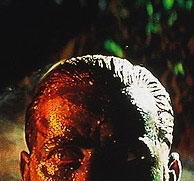 PFC in waiting? Lmao. I would like to thank Coach Cristobal and the University for my appointment as Assistant Associate Clackamas County Fan-base Co-Coordinator. 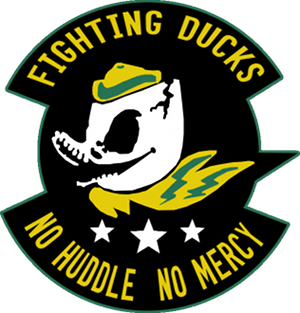 Go Ducks! "fire" "One Hundred" "random emoji"
I’ll take “Assistant Director of bitching about how long it takes to get from Eugene to Portland after a game”. That has to be a low six figure job. Makes it a little harder for other schools to come in and poach your coaches. With the new titles, other schools will have to pay up. Helps a bit keeping the tire kickers away and gives the coaches bargaining power if another school comes calling. Basically, MC is taking care of his bros.